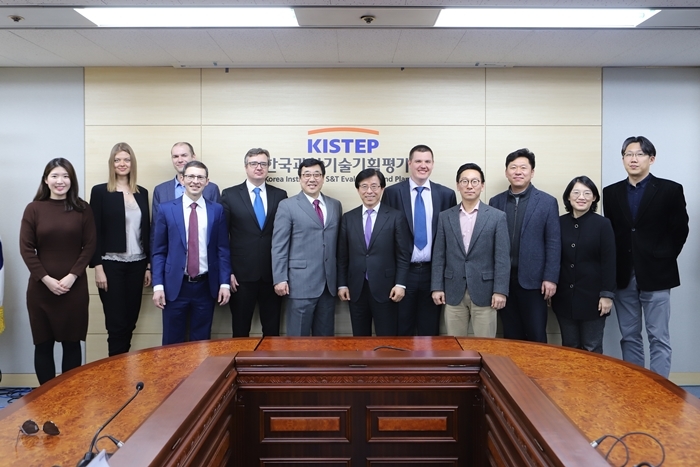 A delegation from Russian Science and Technology (S&T) Cooperation visited KISTEP on January 22nd (Tue) to discuss a sustainable Korea-Russia cooperation and strengthen the network. The participants were Mikhail Gershman (Deputy Head of STI Policy Centre, Higher School of Economics (HSE)), Sergey Konov (Head of International Relations, Russian Science Foundation (RSF)), Ivan Danilin (Head of Science and Innovation Department, Institute of World Economy and International Relations (IMEMO)), Anastia Zadona (Deputy Director of International Centre for Innovations in Science, Technology and Education (ICISTE)), Nikita Ponomarenko (Deputy Head of Department of Strategic Development and Innovation, Ministry of Economic Development of the Russian Federation), Gil Won Seo (Director of Korea Russia Science and Technology Cooperation Center (KORUSTEC)), Ji Taek Cho (KORUSTEC), Gritsenko Ekaterina (Manager of KORUSTEC), Sang-seon Kim (President of KISTEP), Moonjung Choi (Director of Center of Technology Foresight), Seongmin Yim (Director of Center for S&T Pollicy), Jeong-Il Park (Director of Center of National R&D Evaluation), and Jinha Kim (Head of Internaitonal Affairs Team). 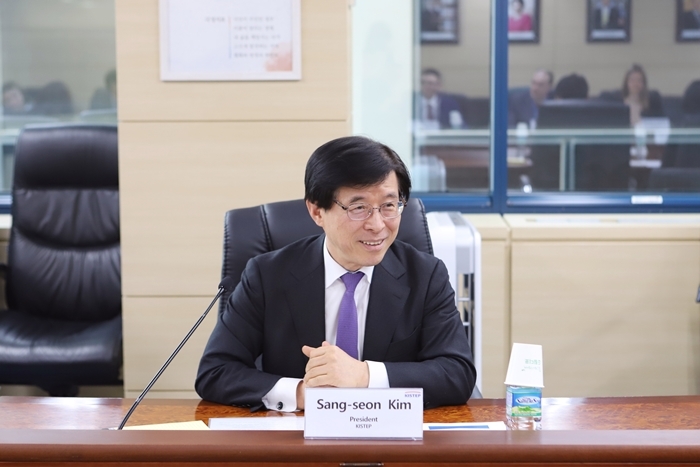 "Russia and Korea have made great efforts to cooperate in S&T cooperation since 1991, and it would be a great achievement if Korea, which actively conducts applied research with Russia, which has a strong basic research power, cooperate strategically," said Sang-seon Kim. 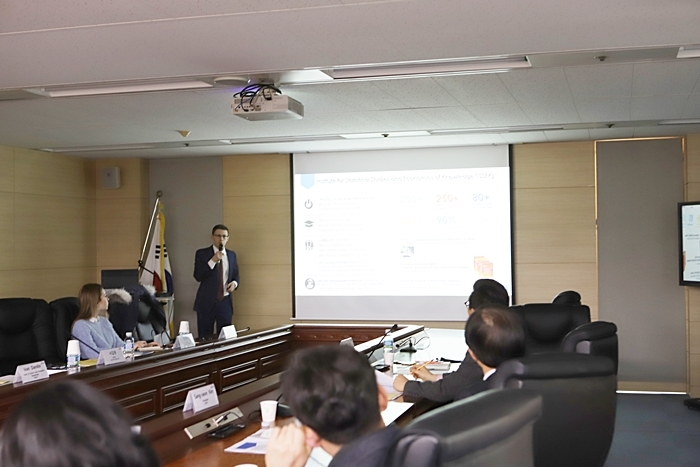 Mikhail Gershman said, "We have been working on a cluster project by regions and industries, by utilizing various tools such as Intelligent Forecasting Analytics (iFORA)." He also introduced the main research results and foresight methodology of HSE in Russia. 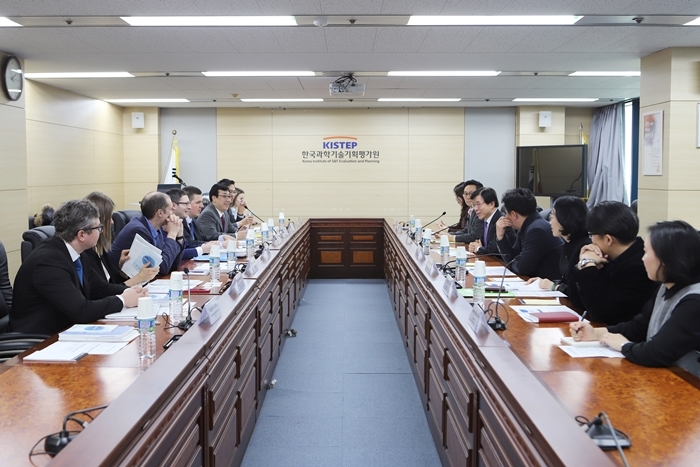 Through this meeting, KISTEP and 5 Russian organizations agreed to share policy planning, technology foresight and evaluation methodologies and seek further cooperation plans.